Refined deodorized bleached winterized sunflower oil manufactured from the natural sunflower seeds without chemical treatment. Refined oil passed the stage of purification from mechanical impurities and alkaline treatment. All vitamins and useful substances, which contains in sunflower oil strengthens immune system and improve functioning of the circulatory system. The range of application of sunflower oil is quite wide it uses in cooking to prepare various dishes, and in production. Due to the absence of smell and taste, it uses in the manufacture of semi-finished products and canned food. The products is packed in PAT bottles of different volumes: 840 Ml, 1 L, 1,8 L, 3 L, 5 L. Every bottle of sunflower oil has its own a unique engraving, comfortable handle and design. Easy to use and storage. On the label indicated the composition, nutritional value of the product and the manufacturer’s coordinates. 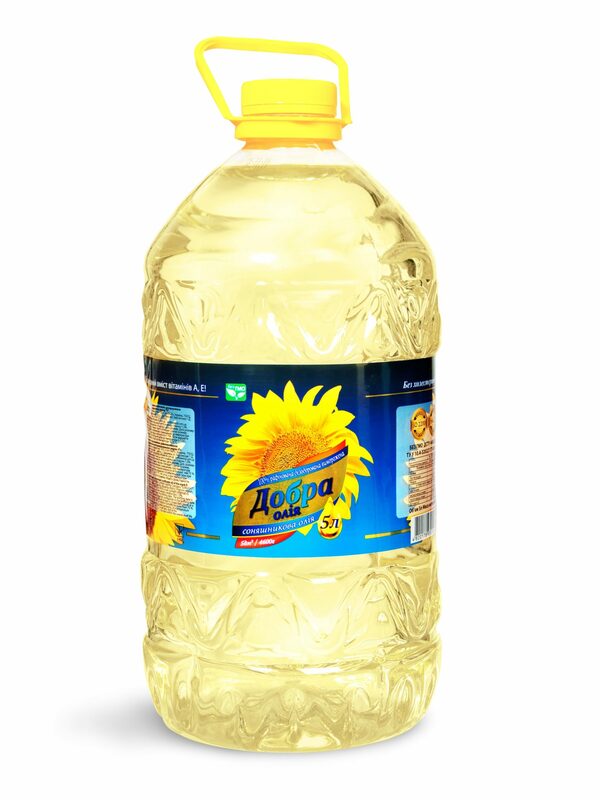 Buying sunflower oil in large volumes is much more profitable and economical. Material - laminated carton. Differs high strength and density. Used to better safety of the goods. Standart - 3 pcs in box. Number of boxes in the container - 1750 psc. Number of bottles in the container - 5250 psc.